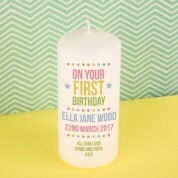 This beautiful candle makes a wonderful gift for a child turning one. Complete with their name and date, it is truly unique. 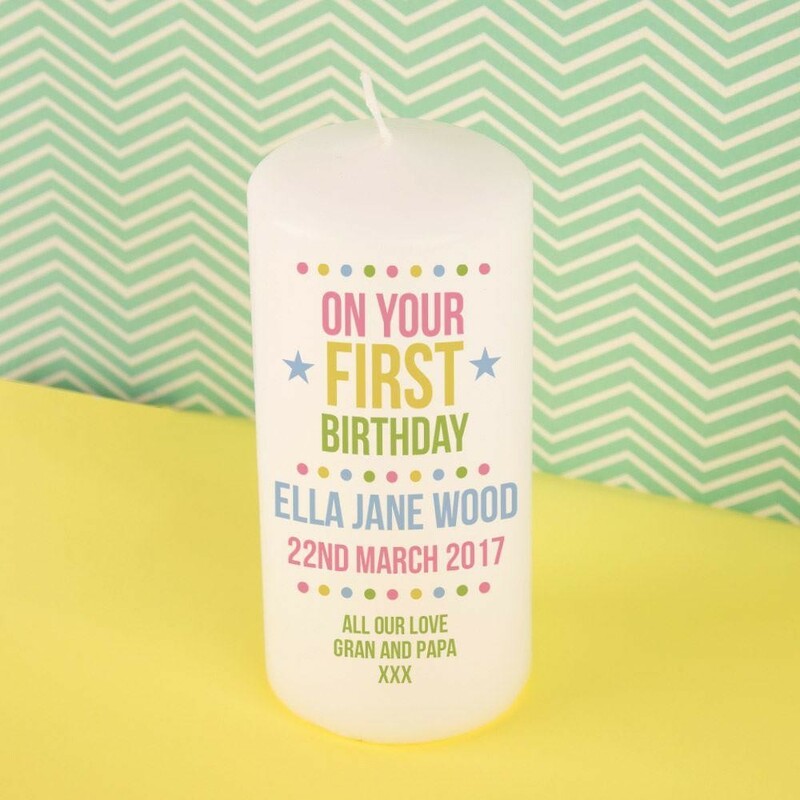 Our printed candle features a colourful polka dot and typographic design, with bold text which reads “on your first birthday” followed by the child's name and date. There is even an option for a short with love message. 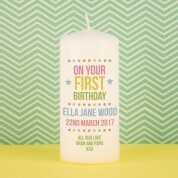 Parents, Grandparents and Godparents will love to present a special little one with this candle. 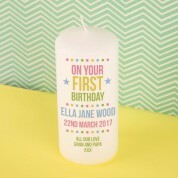 It comes gift ready in a drawstring organza bag.